Today is a perfect day to learn how to reset Android on the LG Optimus 4X HD. You may be particularly interested in hard resetting your phone if it is blocked with a pattern password and you forgot about it. 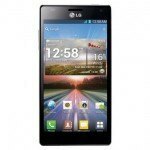 The LG Optimus 4x HD is a perfectly good phone which comes with a quad-core chip Tegra 3 and a 4-inch display with HD resolution. In this tutorial we will learn about two methods to achieve a hard reset Android on LG Optimus 4X HD and thus get it into factory default mode. Perfect action previous to giving or selling it away. Or as said, if you forgot your blocking password pattern. The first method is particulary useful if we have no access into the Android operating system, because we will start with the phone powered off and manage to get into the factory reset option by pressing a certain buttons sequence. As said, this can be the case if you forgot the unlock pattern or when critical error occurs in the operating system. Although it is known that this hard reset process deletes device data, if you still have access into the Android OS, please consider that it never hurts to make a backup of any important information if you just want to restart your LG Optimus 4X HDfor further use. When the LG logo appears let go of the buttons and wait for it to start the system recovery. In the next screen you will see the option “Restore Factory Data” follow the clear instructions and wait for it to finish the rest of the process. In a couple of minutes at most you will have your phone up and running with the original factory settings. The second method to reset Android on your LG Optimus in 4X HD is based on the Android operating system settings menu to access the restore options. There we go to Settings> Backup and Restore> Factory data reset> Reset phone> Erase everything.